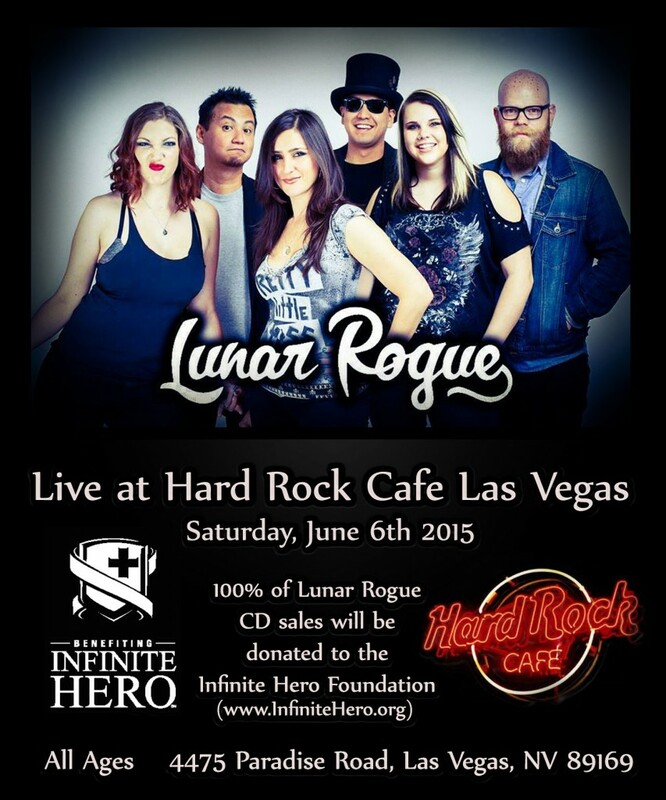 Hard Rock Cafe Las Vegas has asked Lunar Rogue to headline on Saturday, June 6th! It will be a full night of LR songs… some you have heard on our album and some that will be coming out on our next album! 100% of CDs sales that night will go to Infinite Hero! For FREE entry into the show, tell them Lunar Rogue sent you! Starting off the night will be young songstress, Siana King! So be sure to get there early. Click the poster above for event details! Or click here!